I enjoy teaching a wide variety of classes to students of all ages in Brighton and surrounding areas. I also teach workshops and weekends around the country. I have been teaching yoga since 1997 when I graduated from a 2 year teacher training course led by Mary Stewart and Sophy Hoare. 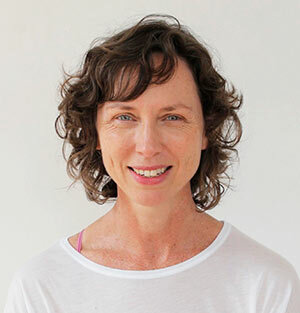 Along with a team of experienced and interesting colleagues, I now also train yoga teachers on the BWY accredited London Yoga Teacher Training Course. In addition I am a student teacher member of the Feldenkrais Guild UK and I teach regular Yoga and Feldenkrais workshops. My teaching emphasises attentiveness both in movement and in the stiller breath awareness practices. Both can then become meditative and help to develop a wider body/self awareness. Visit my classes page to find out more.